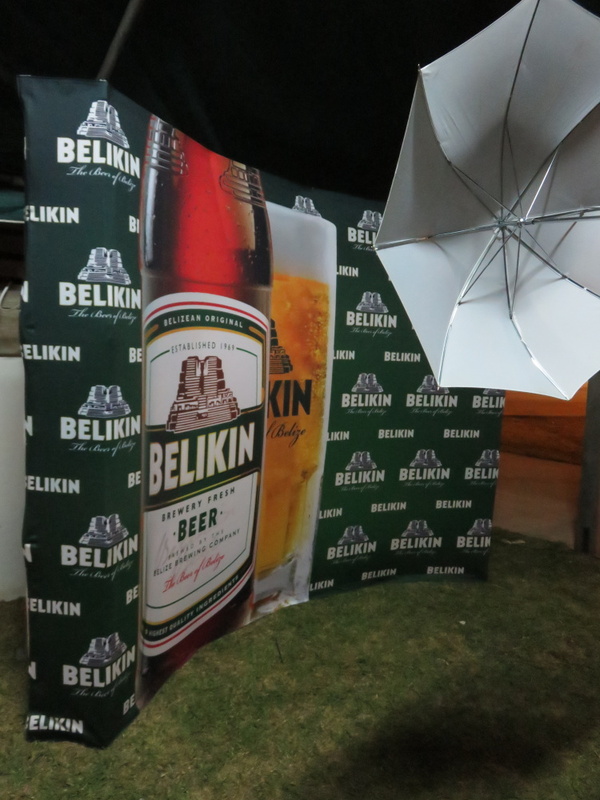 Home » Belize Travel Blog » Belize City » The FULL Sir Barry Bowen Belikin Bash Experience Plus Dolla Beer! 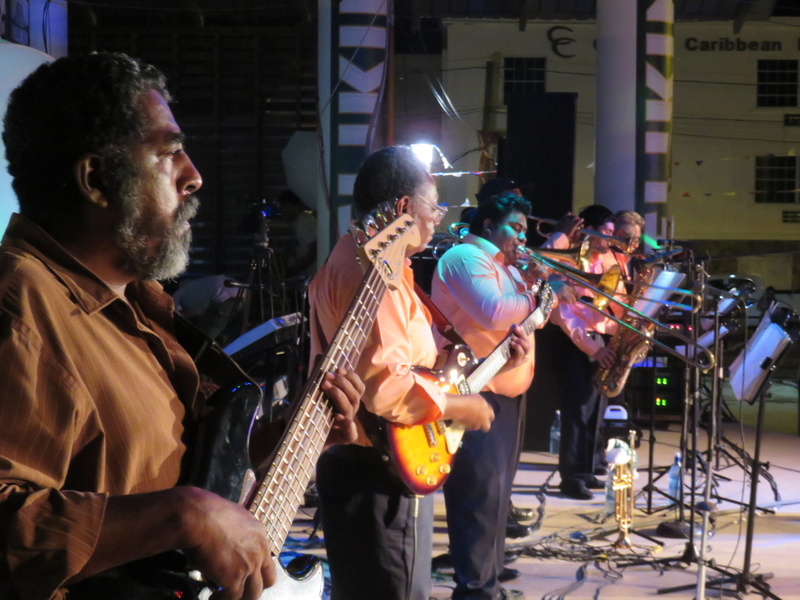 The entire country of Belize erupts with celebrations in September. 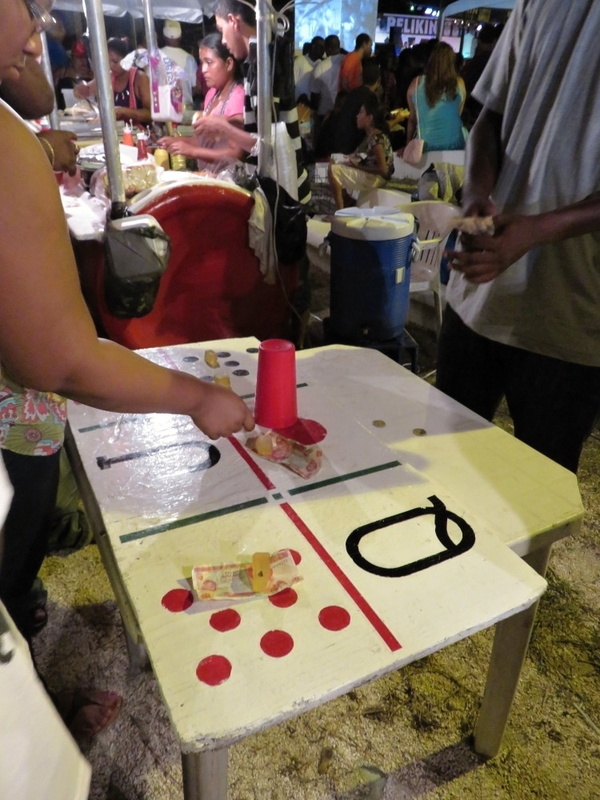 Independence Day is September 21st and the 10th, celebrates the Battle of St. George’s Caye. 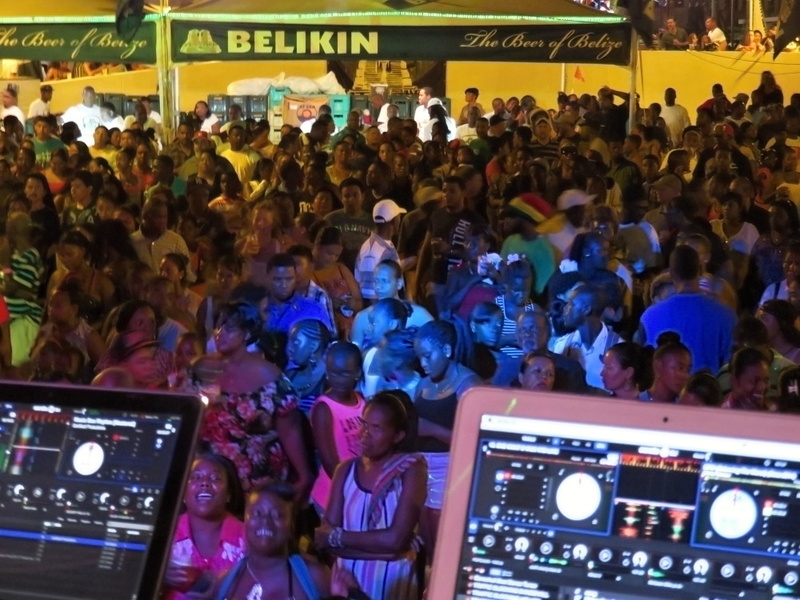 You can find some event, some party almost every day and certainly every weekend throughout the country. 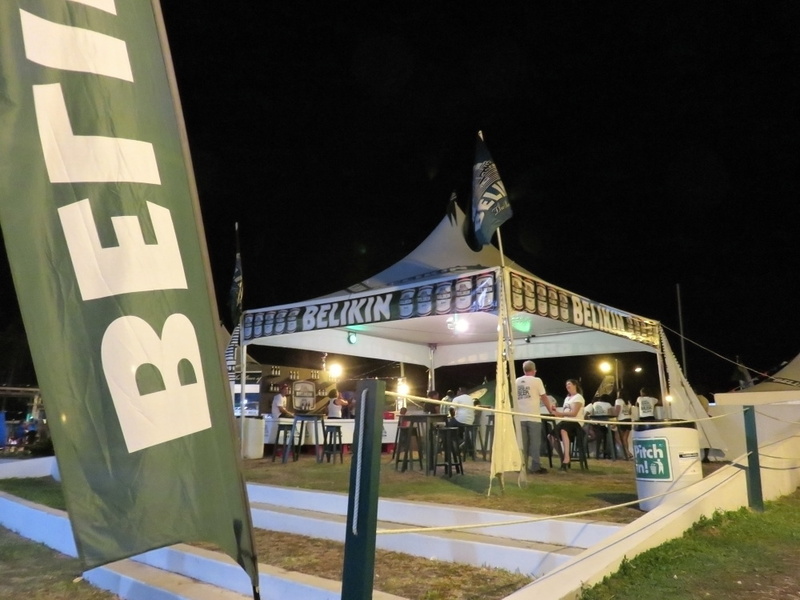 Last night was the final night of one of the bigger celebrations – the annual Belikin bash. 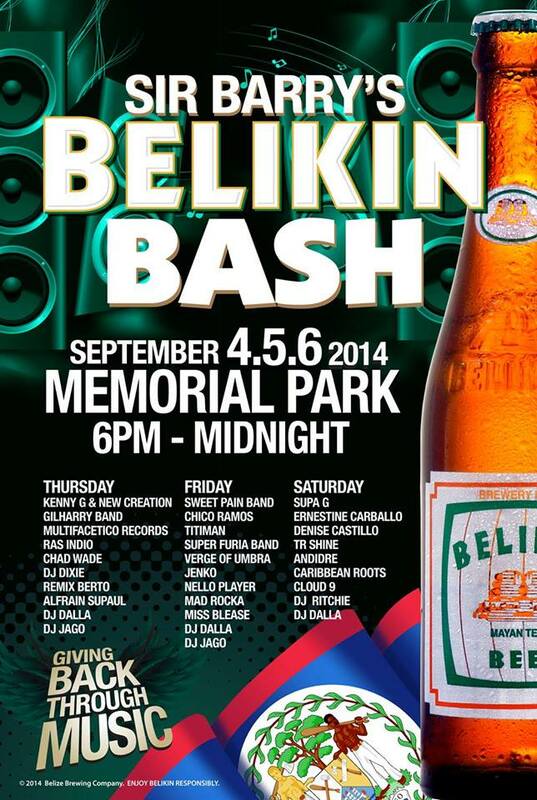 A giant free three day concert and party featuring all Belizean artists and plenty of Belikin beer. 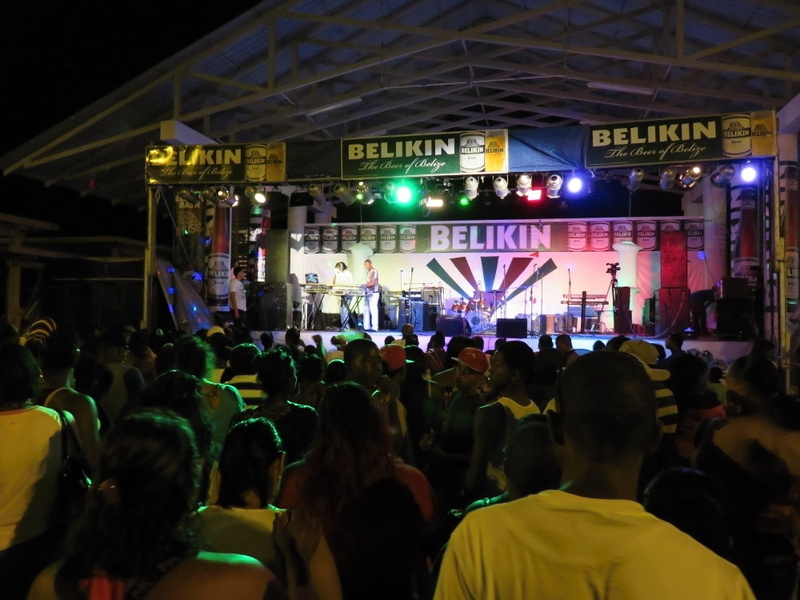 A few hundred artists (Gilharry 7 and Caribbean Connection are massive bands), hundreds of Belikin staff and thousands of Belizeans celebrating BELIZE! 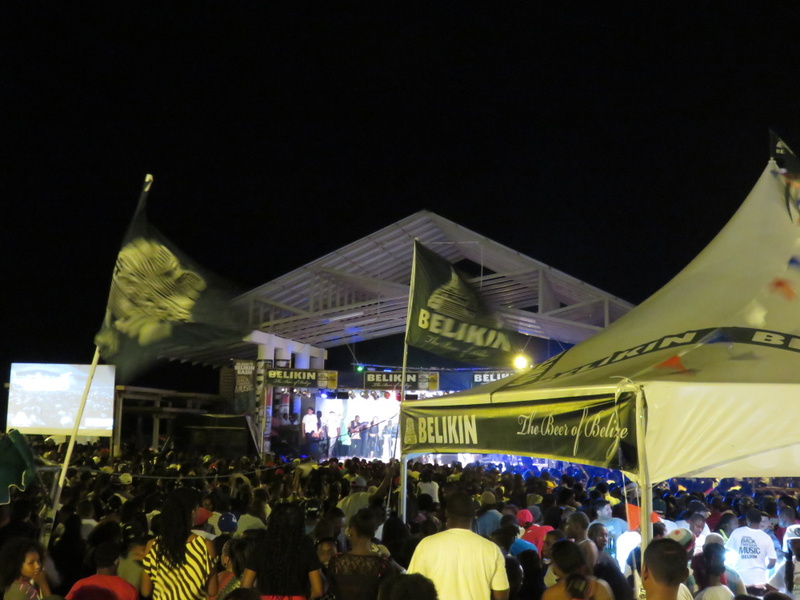 Celebrated annually during the Independence month and the birth month of the now deceased and sorely missed Sir Barry Bowen, this is one GIANT EVENT. 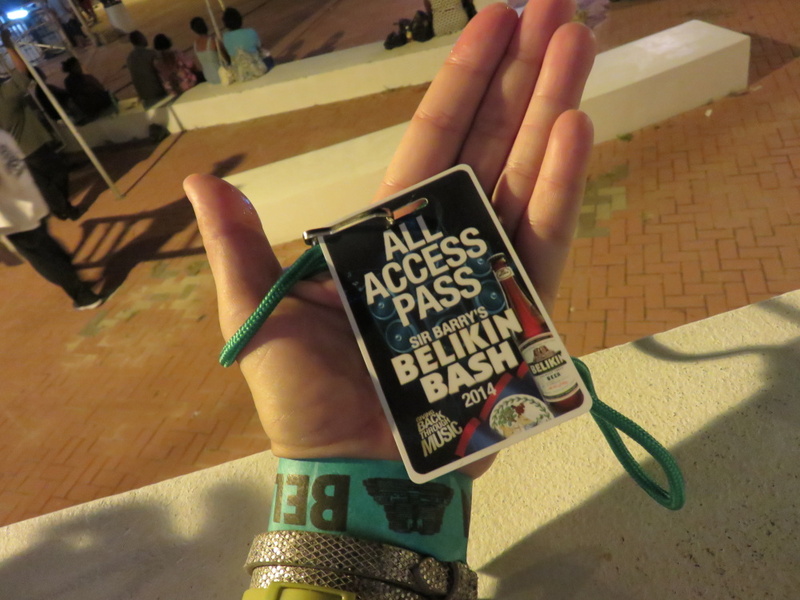 And one that I’d never attended in Belize City. 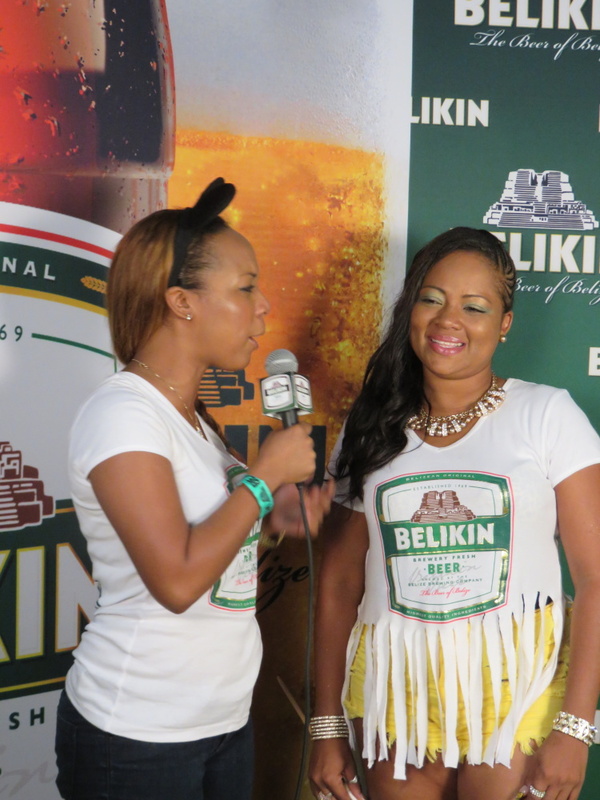 Missing out on the big Belikin bash? 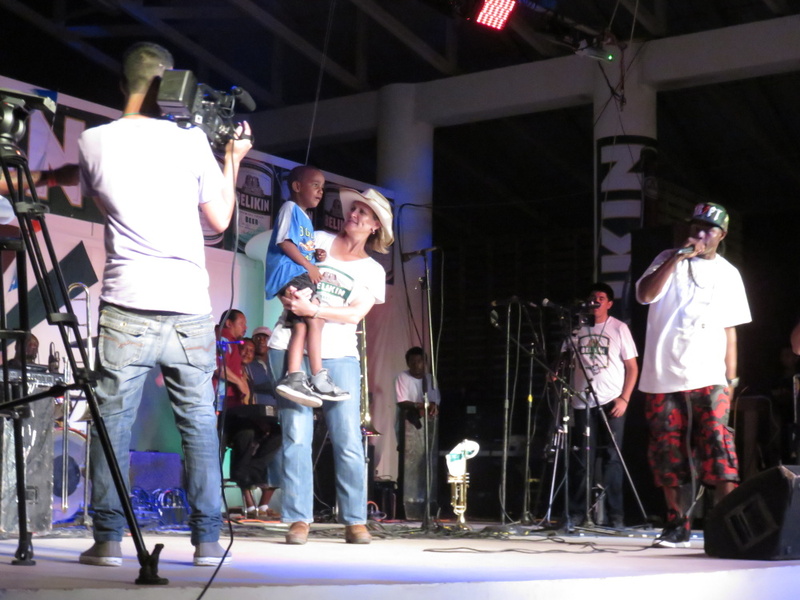 The beer of Belize “giving back through music”? This must be remedied. This is going to be fun. And, as usual, I arrived early. To see the set up and to pick up my ALL ACCESS PASS! More valuable and beautiful than any diamond necklace. 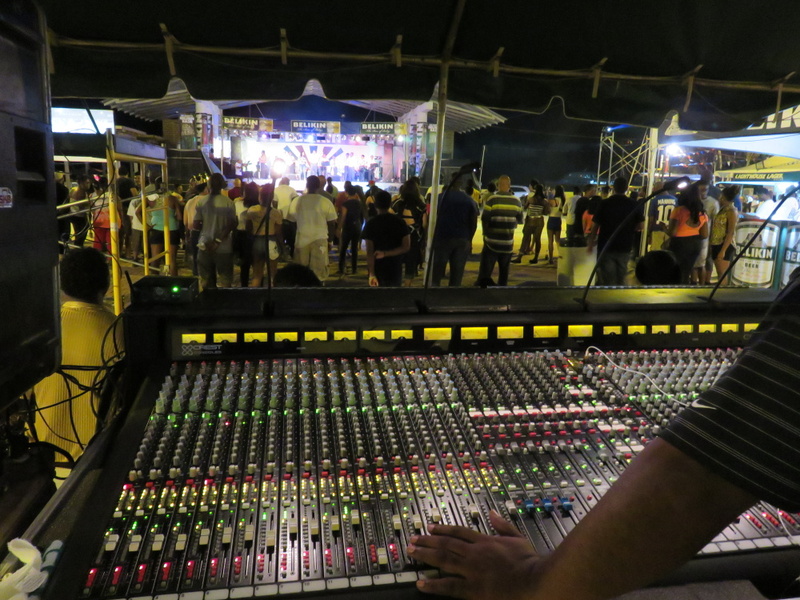 Basically, I was told, this would allow me anywhere just as long as I didn’t stand directly in front of the artists while they were performing. 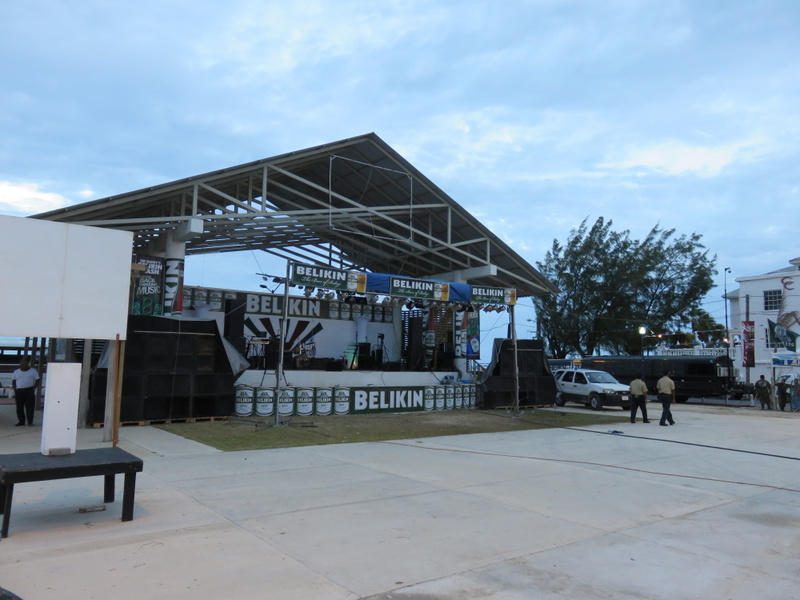 Here is the stage when I arrived just after 6pm. The sky was grey but it had been sunny all afternoon and…well…we were hoping. Massive beer tents with countless coolers were set up. 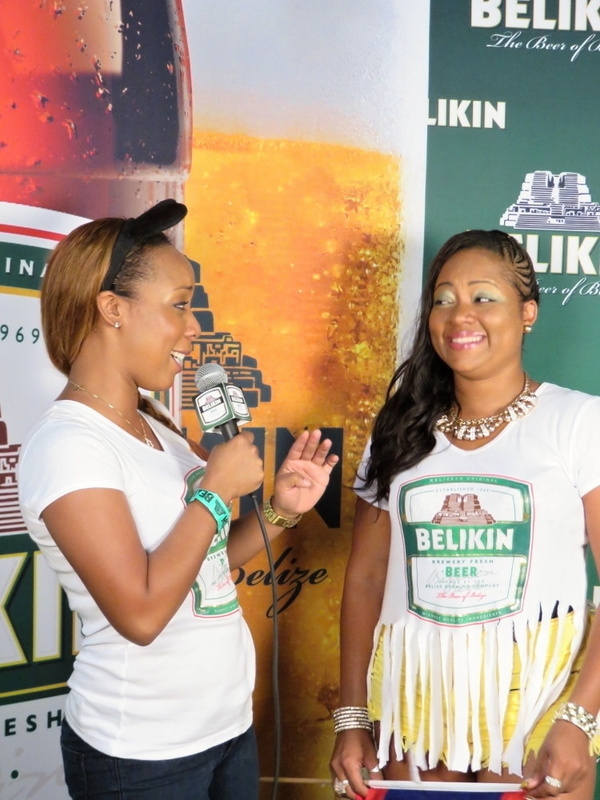 The theme was definitely Belikins new look – the new light bottle and the new label – just released on Thursday morning and available countrywide this week. 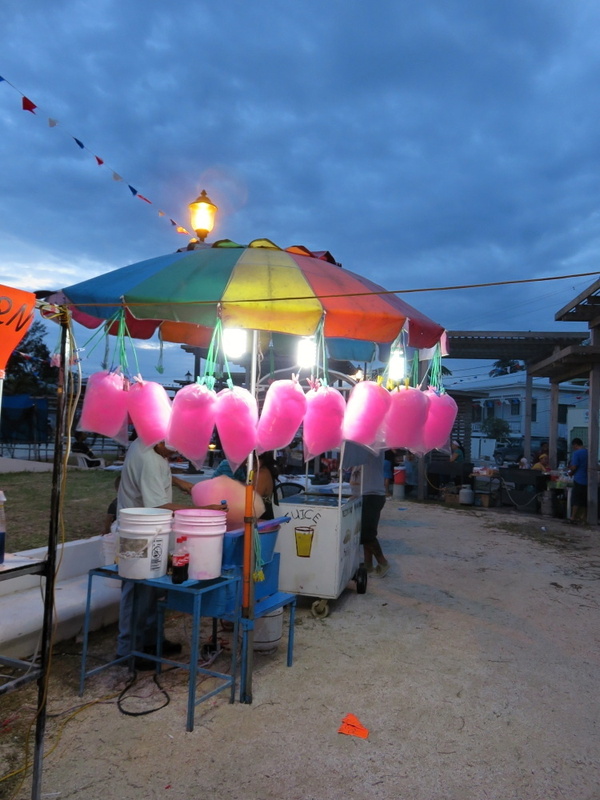 The area in front of the stage remains open and the sides were lined with food and game vendors. The moon was up over the stage. Lights and smoke machine. Check. The VIP tent looking out over the crowd and the stage. Next up, a young artist named Andidre. Each band/artist was scheduled for 30 minutes to 45 minutes. Things had to be kept moving since the bash was over at midnight. Not a minute later. I so loved the smoke machine. DRAMA! This guy has quite a following of young ladies…they rushed to the front to dance with him. There was still room down front for me to run down and join them. Okay…maybe not twerking but at least taking some pictures. 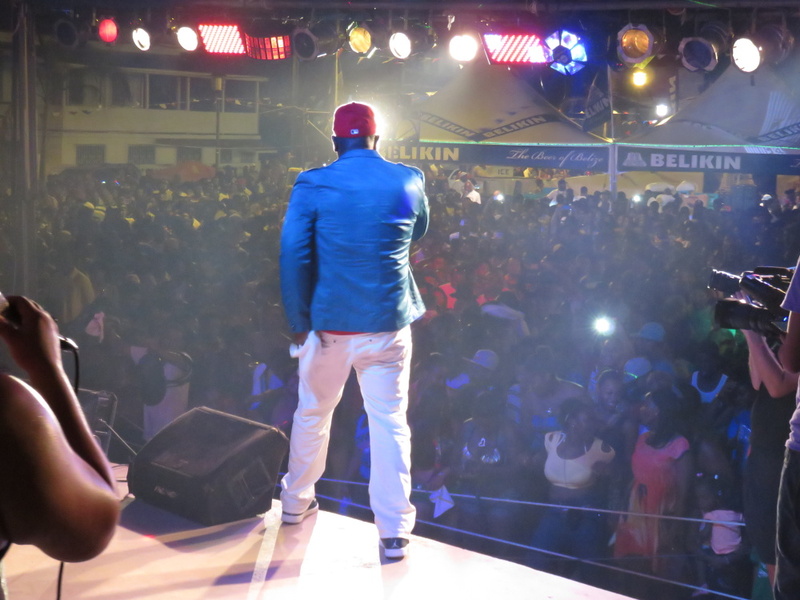 Even though I’d never heard his songs before, the excitement of the crowd was infectious. I LOVE YOU ANDIDRE! Plus, when I met him backstage, he was a lovely guy. 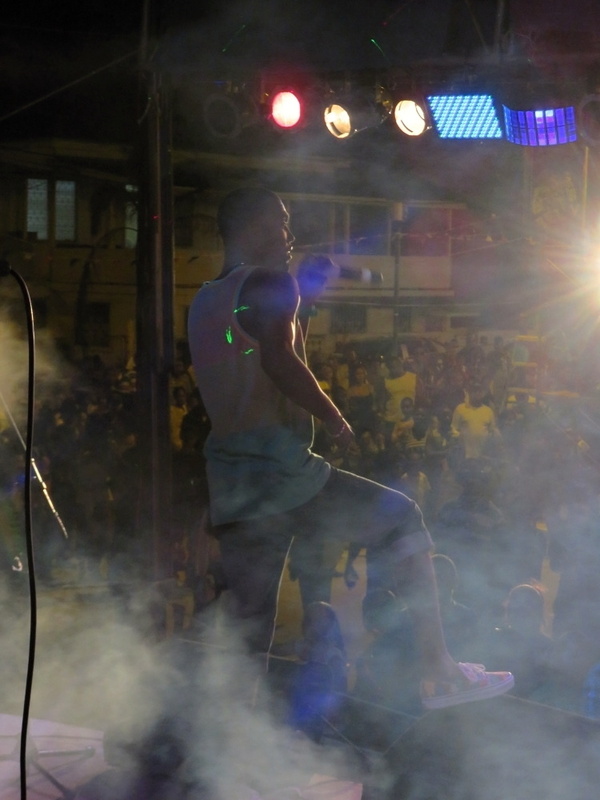 He returned to perform a song with the very talented Denise Castillo. 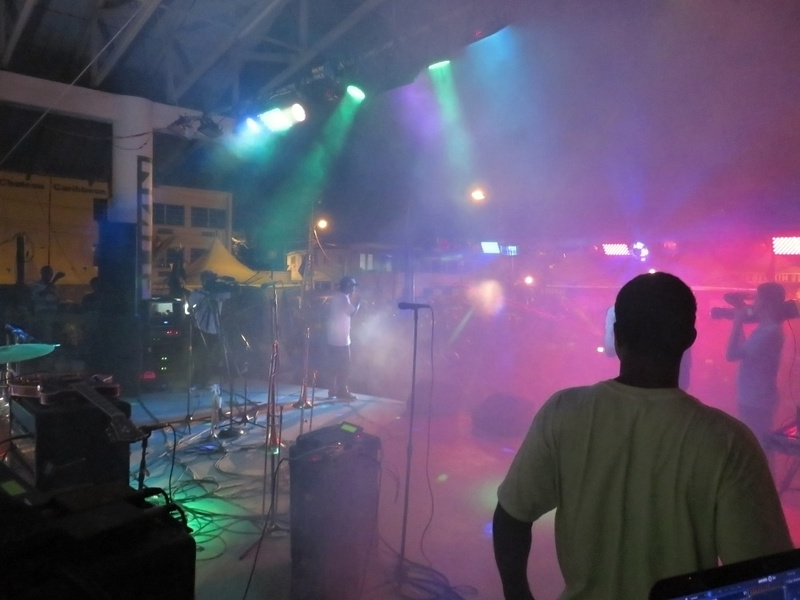 A little back stage…a little front stage. Hold up, hold up! Shelley Bowen, Sir Barry’s daughter, took the stage. Lost child! Next up I ran around back to catch one of my very favorite artists, Ernestine Carballo. 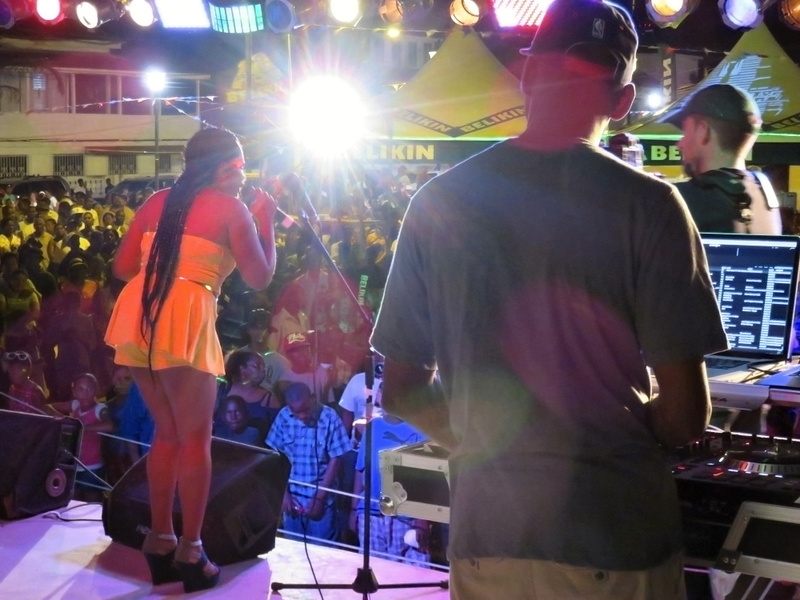 She has been a two time winner of Belize’s national carnival song. I LOVE “Carnival is Here (Behind the Truck)”. Love. Her pre-game interview with DJ Miss Blease. 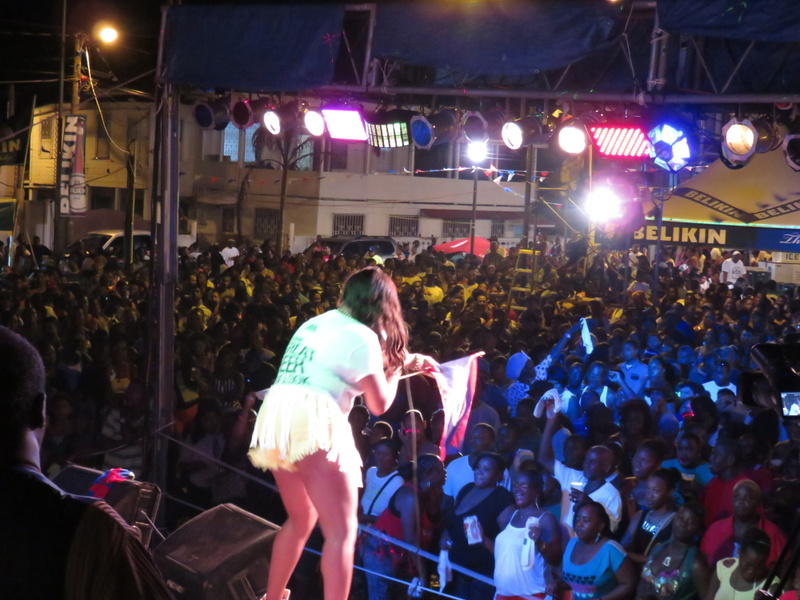 And then…she whipped the crowd into a frenzy. And then the headliner…THE GENERAL. 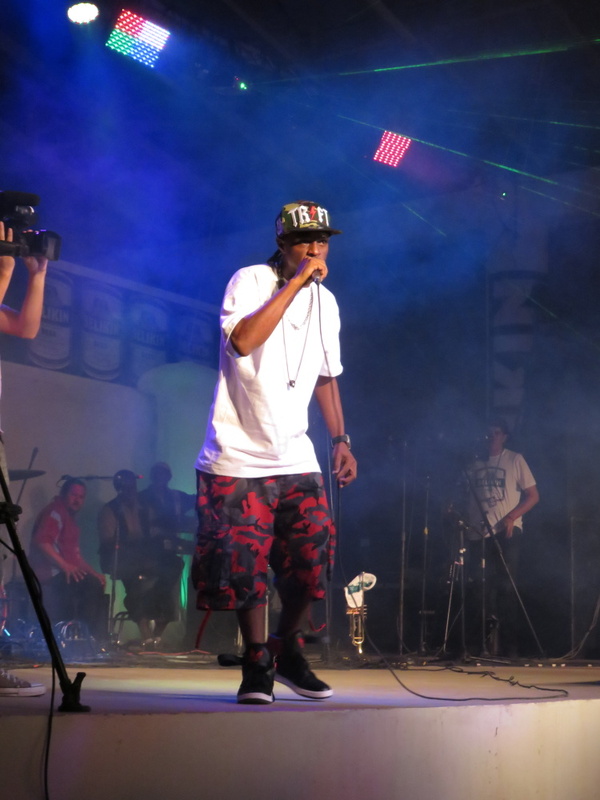 Supa G. The king of Punta with an insane amount of energy. Check him out in the trailer – from last year’s show. Party Insane. Watch this short video if you haven’t. Gives you SUCH a good feel for what was going on last night. He opened last night with that song. 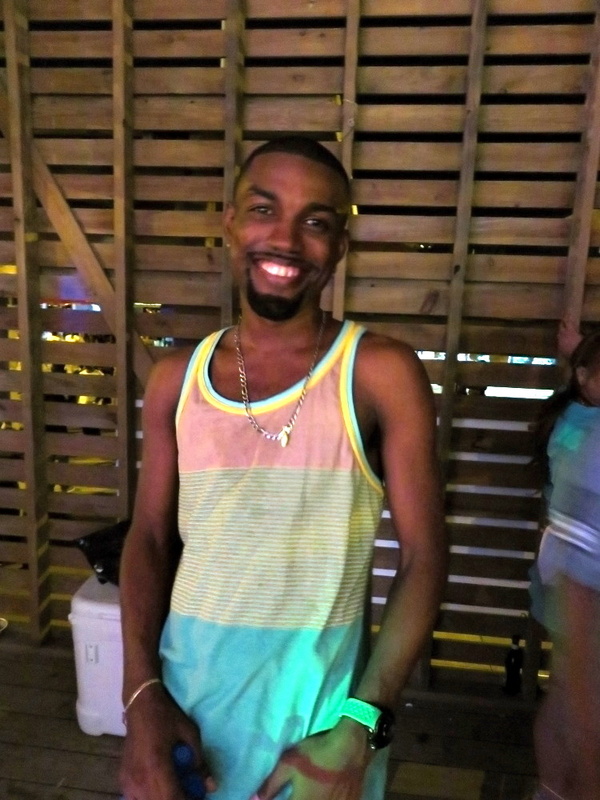 This is the photo that makes me look like one of Supa G’s back-up singers. Cool, right? The video clip of Supa G above was made by Ben and Joanna Popik, two insanely talented film makers in San Pedro doing “Island Films“. 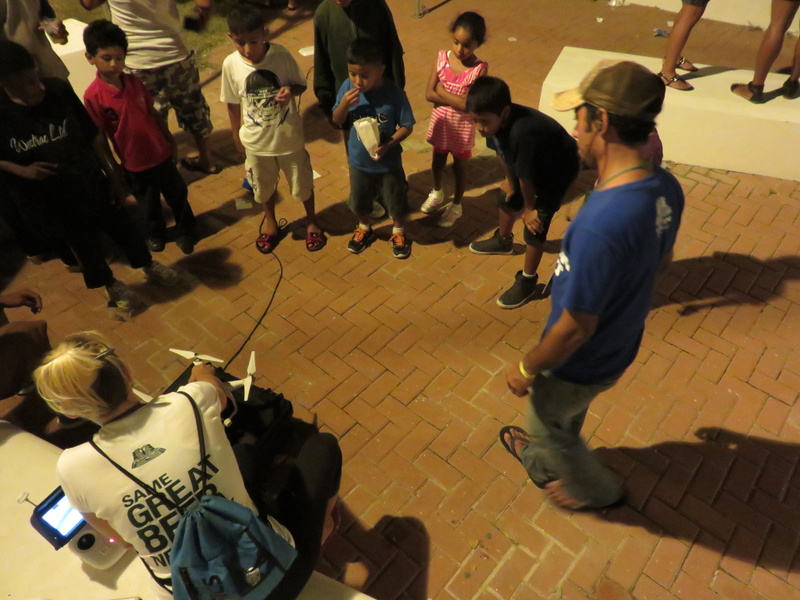 Just below us in the VIP tent, Joanna was surrounded by an audience of kids as she readied to send up her camera drone. Supa G stopped. A big announcement was being made. ONE DOLLAR BEERS AT SUNDAY’S MARKET EXPO. DOLLA BEER! 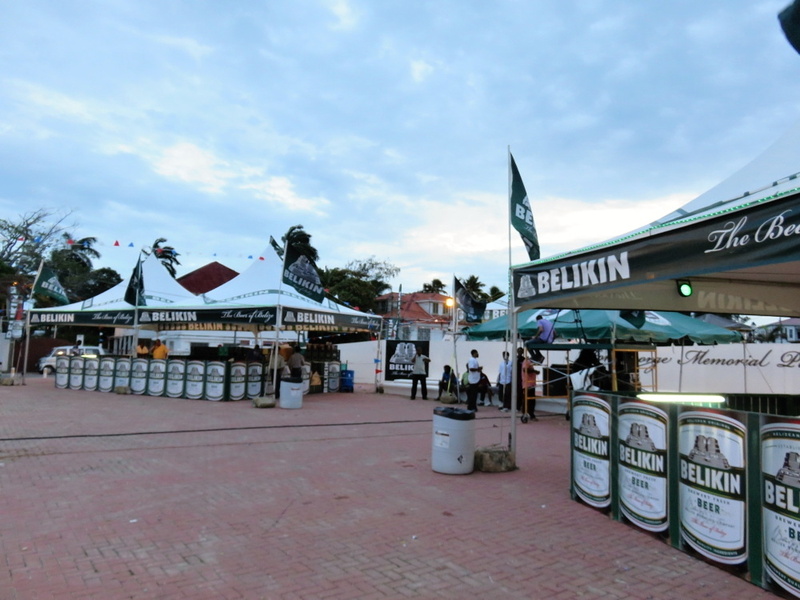 Fueled a bit by the competitive legacy of Sir Barry and, I’m thinking, by the influx over the pass few years of CARICOM beer brands like Carib, Kubuli, Heinekin and now Presidente to Belize, Belikin announced last night that they will be selling ONE DOLLAR BEERS at today’s Market Expo. 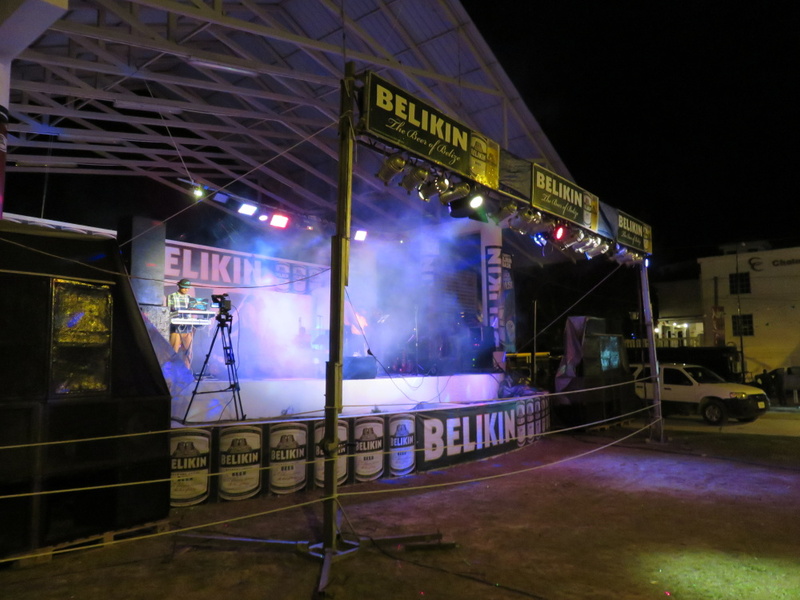 I’m not even sure the last time we’ve seen DOLLAR BEERS in Belize. I’m sure it was when Barry was alive. GO BELIKIN! 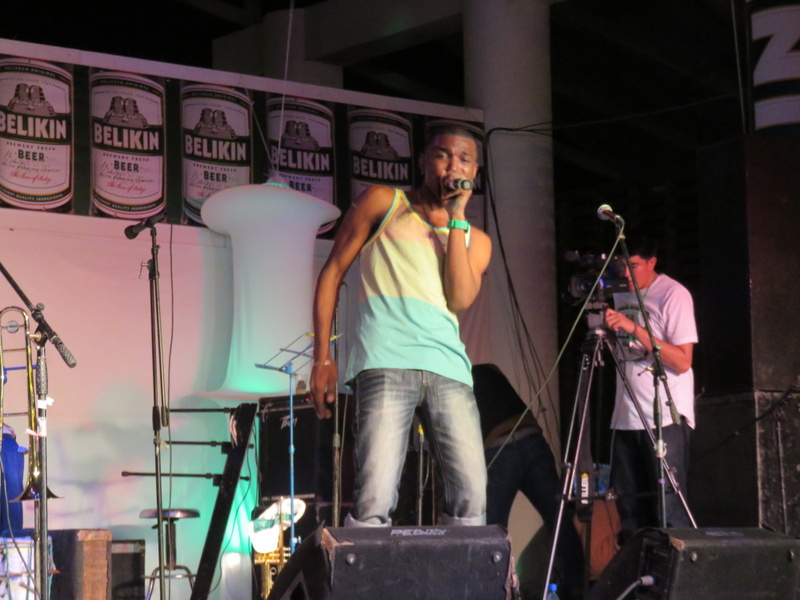 All Belizean artists. Free, For Belize. Three nights. What a FANTASTIC EVENT. And let’s gear up! Wednesday is a holiday. And next weekend? 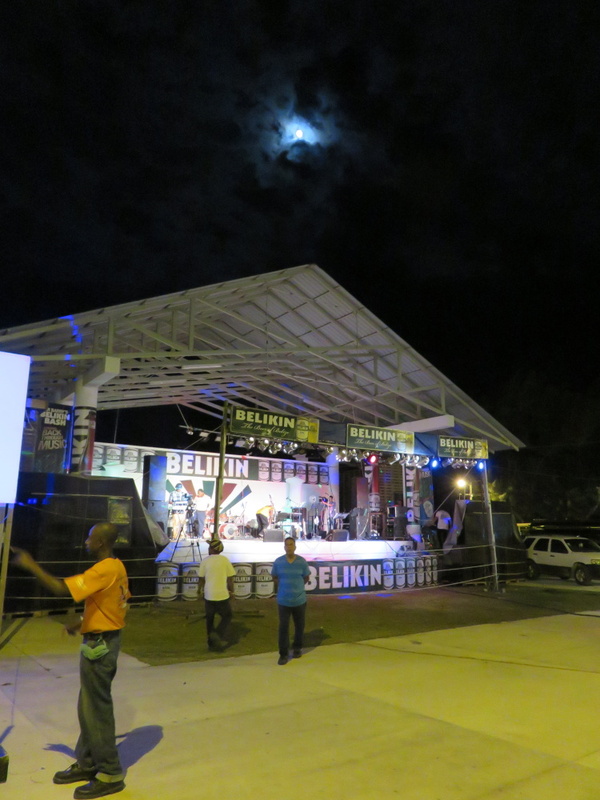 The huge carnival in Belize City. You can check out my posts on last year’s below. THERE IS NO REST IN SEPTEMBER! Wow, first the Telenovela, now this!? Your lifestyle must be exhausting! Ha…hardly my average weekend. I am EXHAUSTED right now! What a great time. Thanks for bringing it to us in such detail. September is always a fun month in BZE. 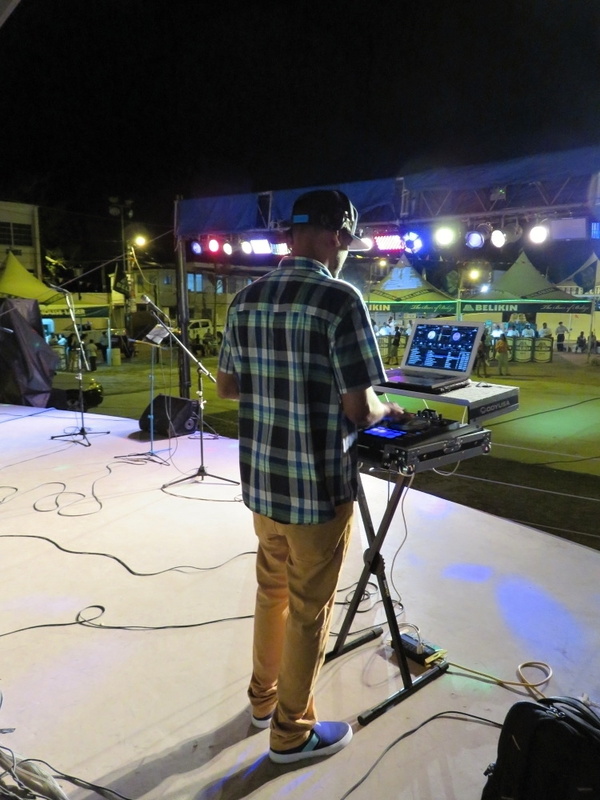 It’s the best…and I loved going backstage! I’m all about the detail.